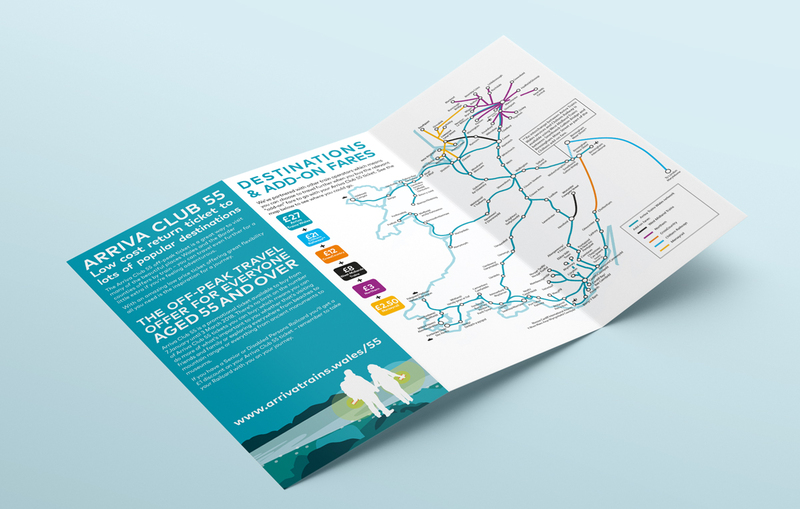 If you're lucky enough to be 55+ then you can enjoy discounted travel across Wales. 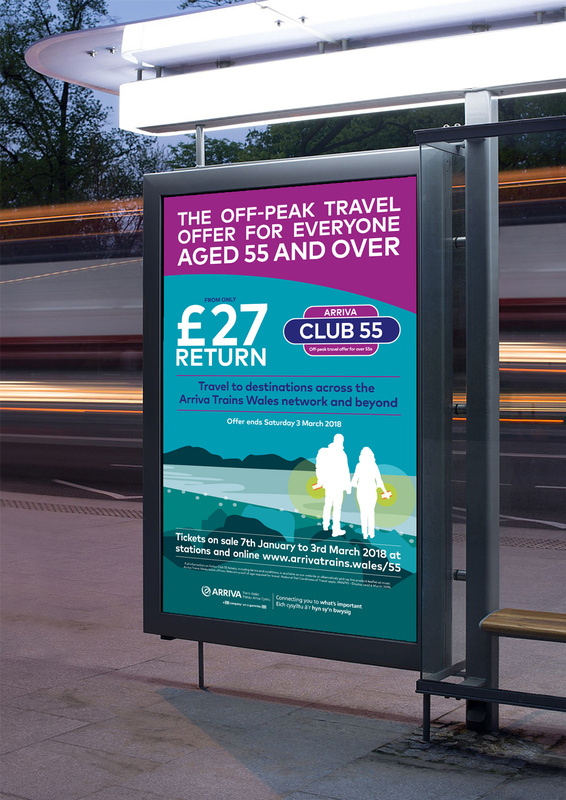 See our graphic design for ATW's 55+ campaign, here! 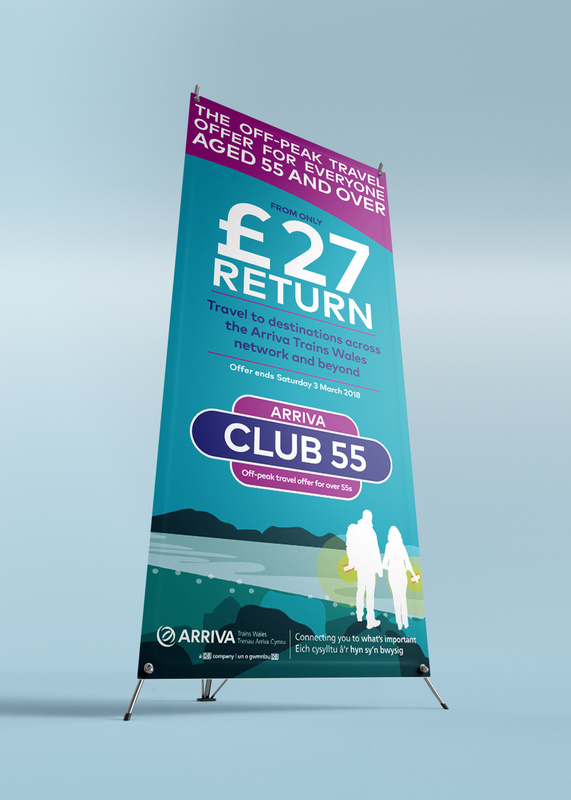 Club 55 is Ariva Trains Wales’ promotional scheme for those over 55. 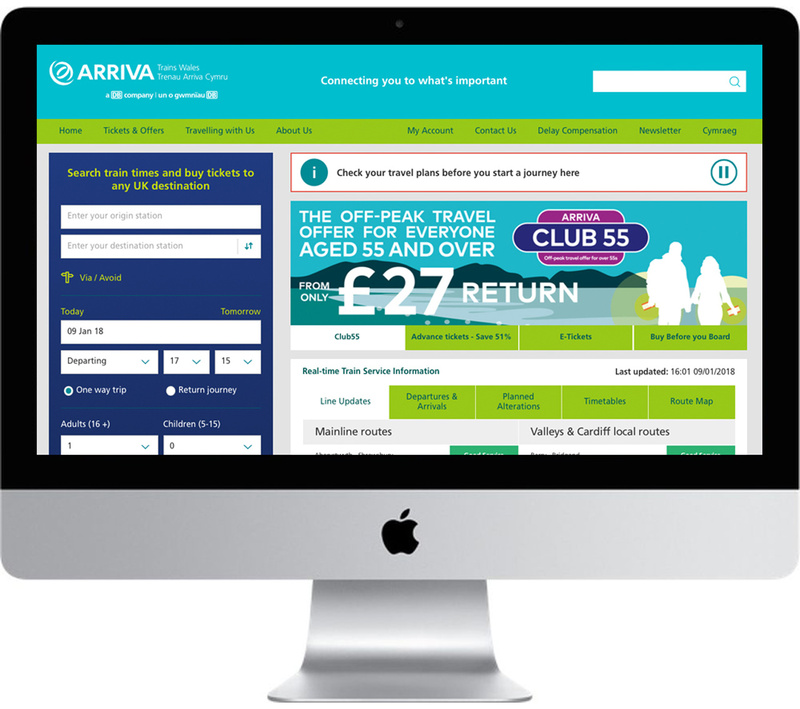 It offers special discounts to those looking to explore Wales in their free time. 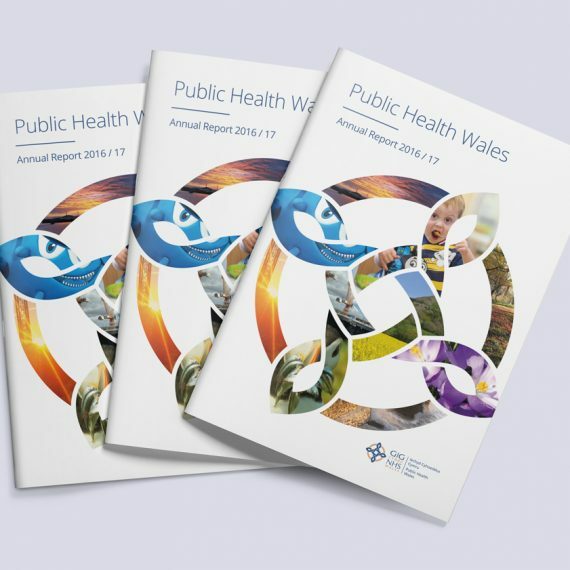 Campaign materials are a great way of getting your message out there. Design needs to be attention grabbing whilst also remaining suitable for each medium. 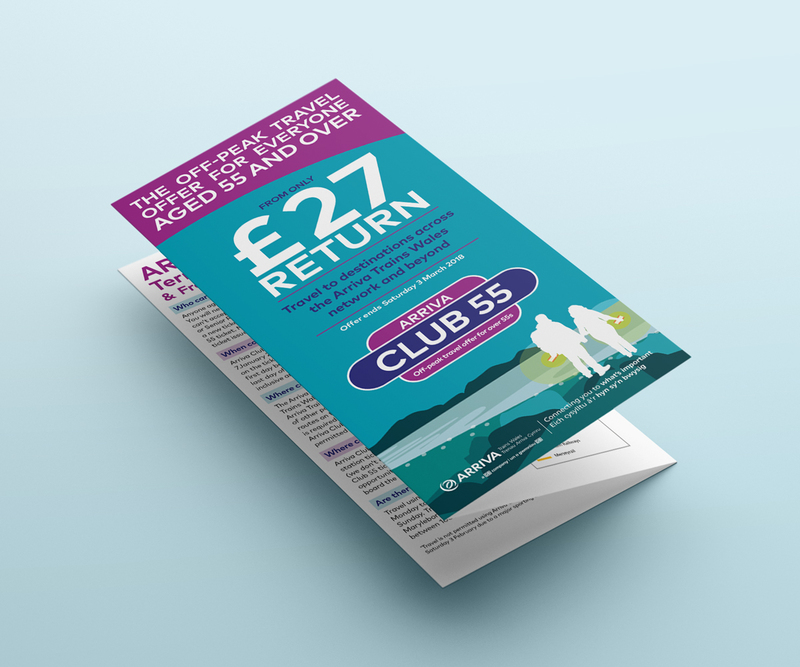 When designing the campaign materials for ATW’s Club 55 promotion we were mindful to create design that could be scaled up; for materials such as posters and pull up banners, as well as down; for items such as direct mail shots, leaflets and e-newsletters. 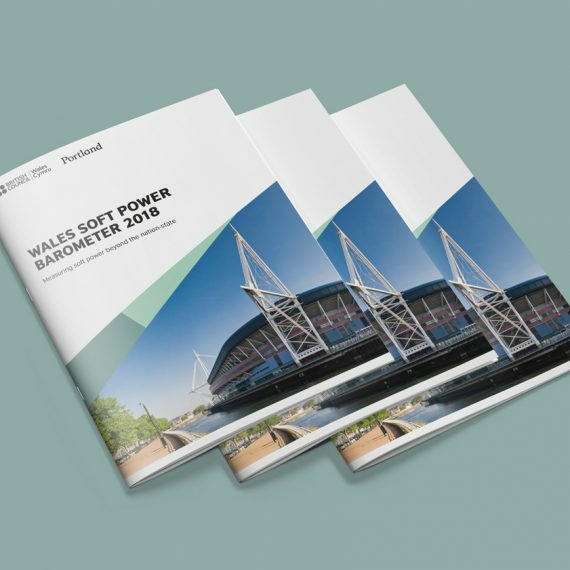 We utilised ATW’s external brand colour scheme to ensure the materials were easily recognisable as an ATW campaign. We wanted to entice people to engage with the offer so designed an attractive backdrop, depicting Wales’ beautiful landscapes. We mindfully avoided using negative age stereotypes to depict older travellers. Instead, we opted for a shadowed outline of people engaged in adventure pursuits. 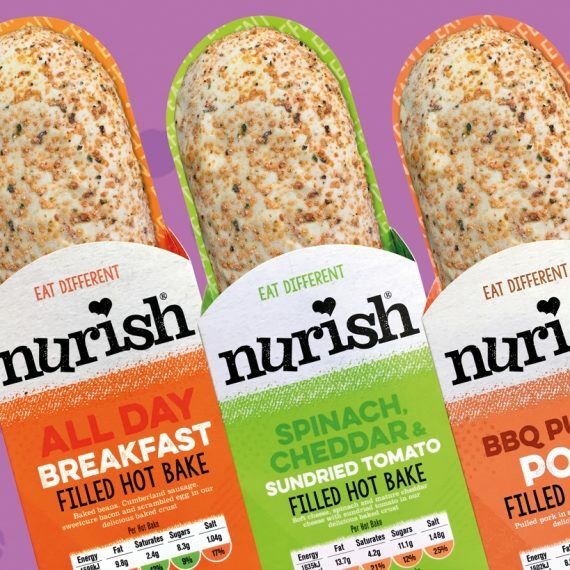 Keep up to date with our latest musings over on our social media platforms. 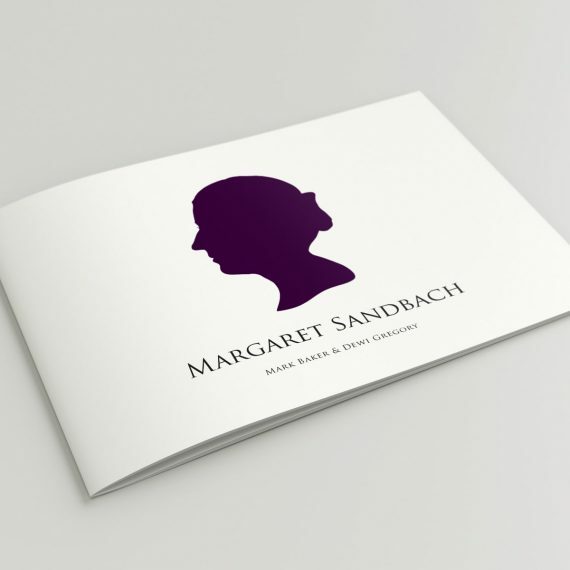 Thinking about rebranding? Deliberating over design? Contemplating all things communications? For a friendly chat about your business needs, pop by and say hi. Why not sign up to our newsletter for timely insights into the design and marketing world. We promise we won't pass your details onto anybody and you can unsubscribe at any time.